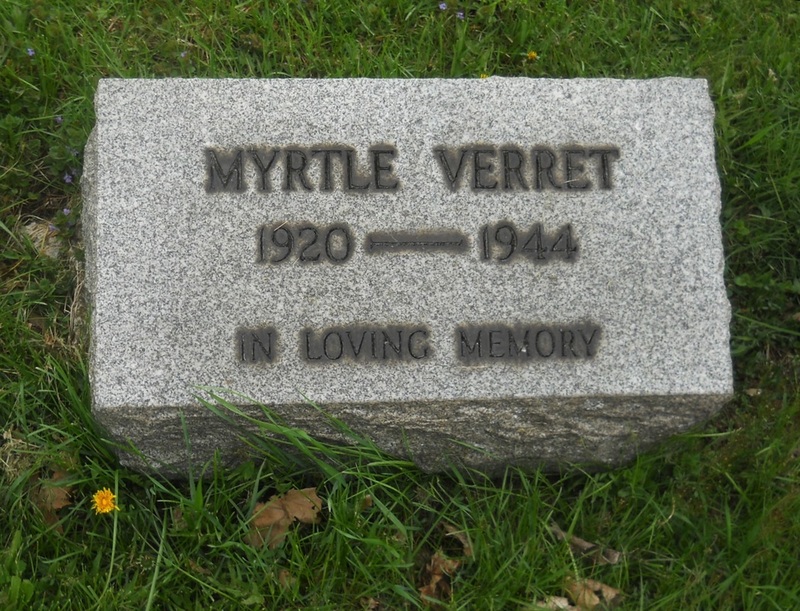 Miss Myrtle Verret, of 1830 Winhurst Street, Pittsburgh, Pennsylvania, was born October 13, 1920* in Pittsburgh, daughter of Julia (Hartlein) and Frederick J. Verret. She was found dead the the circus grounds after the fire on July 6 and was buried at Mount Lebanon Cemetery in Mount Lebanon, Pennsylvania. She leaves her mother, Julia Verret, 69; her sisters, Hazel, 42, and Dorothy, 29, of Pennsylvania; her brother, Roy, 39, of Pennsylvania; and her brother Frederick, 36, of Hartford. 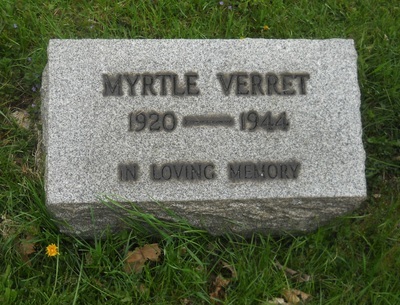 Myrtle was predeceased by another sister, Ethel (Verret) Campbell, in 1936. Body #1516 was identified at the State Armory as Myrtle Verret on July 7 by her uncle. 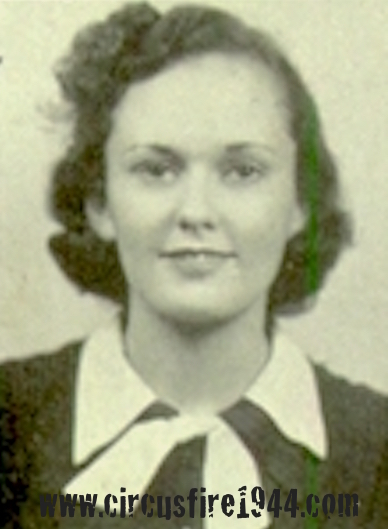 Myrtle worked as a cashier at General Public Corp., and had flown from Pennsylvania to Hartford earlier in the week to spend her vacation with her brother, Frederick, and his family. She went to the circus with Frederick's wife, Ida, and his children Joan and Frederick, Jr., and only the children would survive. The estate of Myrtle Verret was awarded $11,000 by the arbitration board. *Note: Death certificate indicates birth year of 1921. Gravestone indicates birth year of 1920, and the 1930 and 1940 US Census reports support the 1920 birth year.